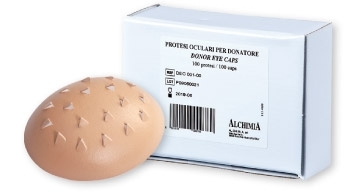 Ocular prostheses for cosmetic reconstruction of the donor eye after corneal excision. Product can be used together with disinfectants. Preserves the normal shape of the eyelid.